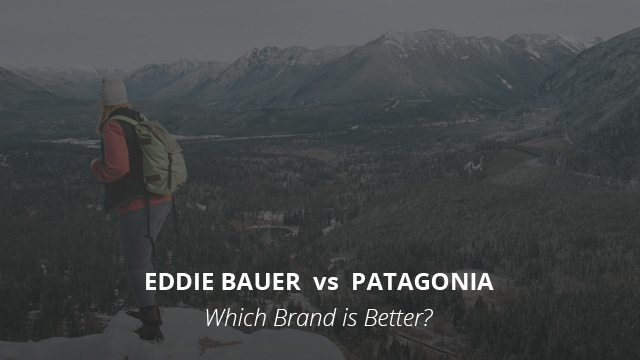 Eddie Bauer vs Patagonia: Which Brand is Better? Continuing with another comparison between brands, today we will move a south of the previous Canadian brands, Arc’teryx and Canada Goose, to take a look at two other renowned brands of outdoor gear and apparel which were founded in the United States. We have picked Eddie Bauer and Patagonia for today’s comparison and we will go through their history, materials, products and compare the two together, to give you a better idea as to which one would be the best choice for your next jacket purchase. Arc’teryx vs Canada Goose: Which Brand is Better? 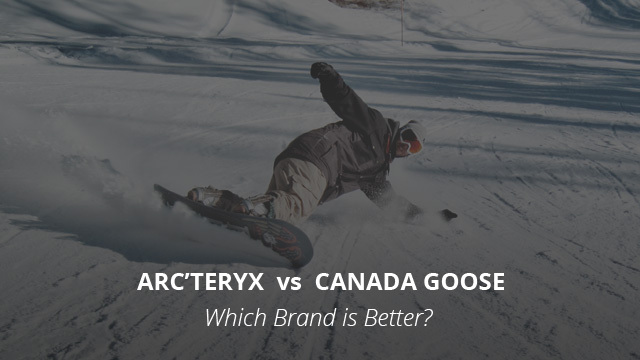 We are back at brand reviews for this week and today we will be looking at one of our most recurring brands in this type of comparison, Canada Goose, and see how it measures up against another Canadian brand, Arc’teryx. 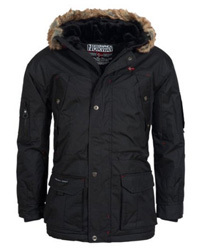 You can find several of our previous comparisons between Canada Goose and brands such as The North Face, Mackage, Moose Knuckles, etc. Arc’teryx is a newcomer on the site and we are excited to see which of the two brands would be the better choice, as these are both very renowned brands. With that being said, let’s get right down to it! Here on our site we frequently discuss the differences between various materials, brands and jackets, in order to learn more about what to look for in certain products and materials, as well as to better understand which one would be the right choice to use. In previous articles we have looked at Elastane, Polyester and Nylon, as some of the most commonly used materials in jackets (and other garments). 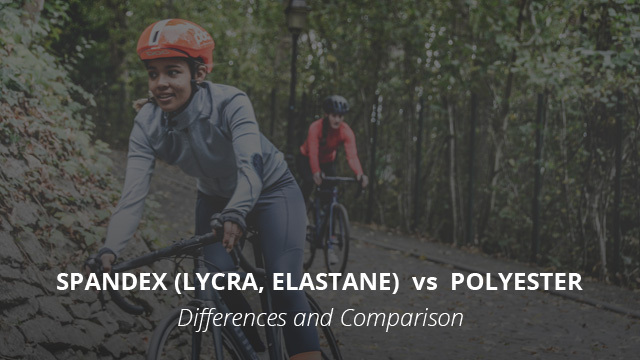 We have even compared Nylon and Polyester together, as well as learned a bit more on the differences between the several names of Elastane. Today, it’s time to go through another comparison, that between Elastane (or Spandex, or Lycra) and Polyester, in order to see why and how they are used in jackets and how they differ from each other. Jacket comparisons are a useful way of learning more about particular jackets and finding out which one would be the better choice for you. We have compiled several such comparisons, and have also looked at popular brands and compared them to each other. 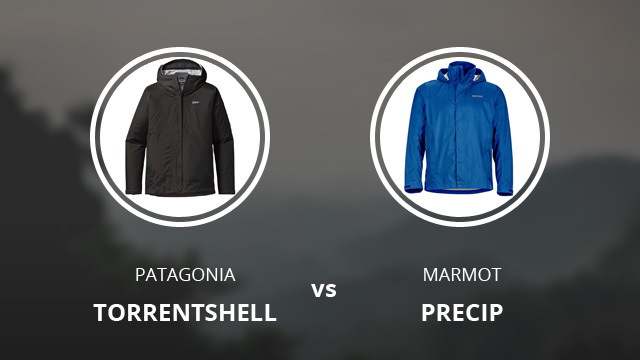 In a very recent comparison we looked at Patagonia and Marmot’s jackets, namely the Torrentshell by Patagonia and PreCip by Marmot. 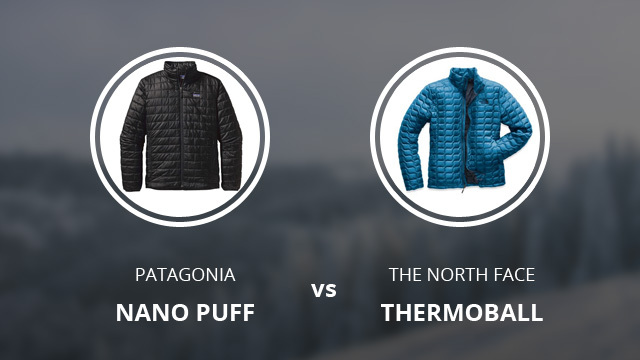 In today’s comparison, as you have seen from the title, we will be going through Patagonia’s Nano Puff jacket and The North Face’s Thermoball. These are both quite popular jackets as they are an alternative for those who want a warm winter jacket but are not big fans of down or other animal-based materials in their clothes. We have already written about these two brands and how they compare, while learning more about their history, their production and products. If you are interested to learn more, you can find that article here. Let’s now see the specific features and qualities of these two jackets and how they compare to each other. It is time for another review article. 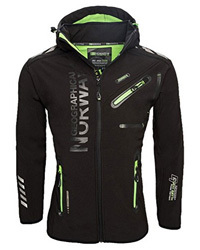 Today we will be reviewing a jacket that comes with a lot of features, and weighs only 330 grams (11.64 oz). 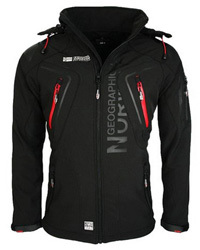 It is the The North Face Thermoball Full Zip jacket for men and women. Much like the previous jacket reviews, in this one we will be breaking down each feature of this product, focusing on material, colors and usage. There will also be the user feedback, a very useful paragraph, which helps in having a better understanding of this jacket and in determining whether it might be a good choice for your necessities. 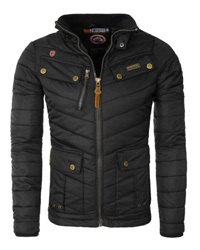 In general, we can say that this is not a down jacket, despite the quilted design on the outside, which gives it the classic down jacket look. 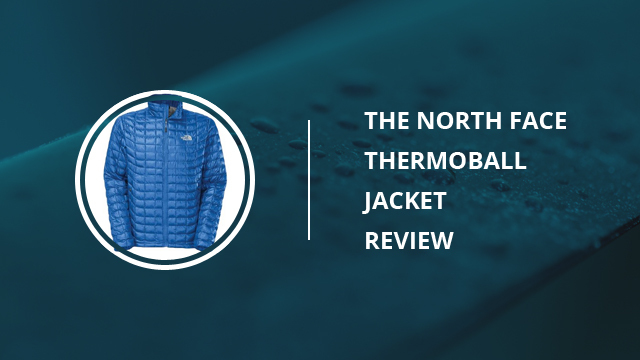 Instead, it comes in a synthetic insulation called ThermoBall™, created by The North Face in collaboration with PrimaLoft, which, unlike in most jackets, it is distributed and placed differently, therefore giving this jacket its special features. We have also compared the ThermoBall insulation to real down in this article, if you want to learn more. Now, let’s head right to the specifics. Comparing different brands, as we have done in these past months, is a good way to learn more about the popular names in the outdoor clothing market. However, some of you are interested in particular jackets from brands and it has been quite some time since our last jacket comparison. Well, we are here to make up for that and today we will be looking at two popular brands and two of their most popular jackets, the Torrentshell by Patagonia (check out men’s version on Amazon) and Marmot’s PreCip jacket (check out men’s version on Amazon). Recently we took a look at the brands themselves and compared them to determine which one would be the better choice. You can find that article here. Today we will be comparing their two jackets and see which one is best. Without any further ado, let’s get right into it! Rain is upon us… literally, and that brings us to the importance of remaining dry during such times. 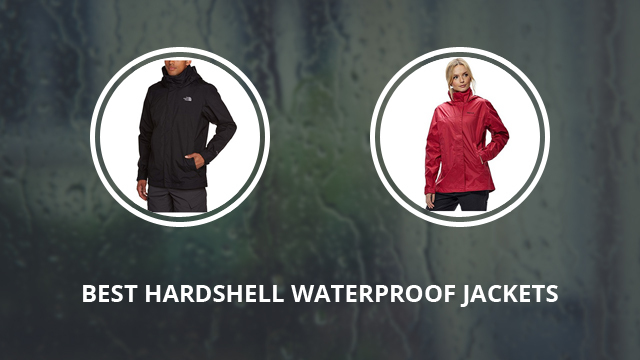 Well, what better way to achieve that, than wearing waterproof jackets? In this article we will be taking a look and review some of the best hardshell jackets for this year, which are comfortable, warm, stylish and completely waterproof. These are jackets to be worn as either the go-to jacket for when it rains, or even during sports and outdoor activities.